Today I’m going to show you how to create a Sigfox GPS tracker using Wia and the Pycom SiPy. 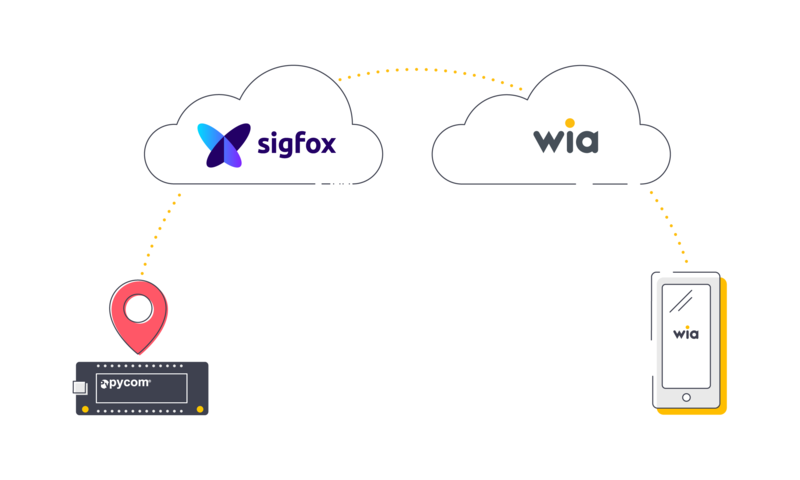 This tutorial assumes that you have already connected Sigfox to Wia if you haven’t, please click here to find a tutorial for initial Sigfox setup and publishing data to Wia. If you haven’t already, you’ll need to upgrade the firmware on your Pytrack Expansion Board. Click on the file then copy and paste the code from here into that file then save it. Click Upload in the Pymakr plugin at the bottom of your window in Atom and send the code to your Pycom board. Now go to the Wia dashboard and you should see data appearing in the debugger section of your dashboard. Note: It may take a few minutes before the Pytrack finds a GPS signal, also the Pytrack isn't suitable for indoor use. Now for the next step, we must parse the data we received from Sigfox and do something useful with it. For this we need to build a Flow. Head over to your Wia dashboard and in the Space where your Sigfox device is held. From there click on the Flow icon in the left hand menu to go your Flows. Now to create your Flow, you can name it whatever you like. Once you have created a Flow, you should be taken to the Flow studio. This code parses the Sigfox data from hexadecimal format to latitude and longitude in floating point. 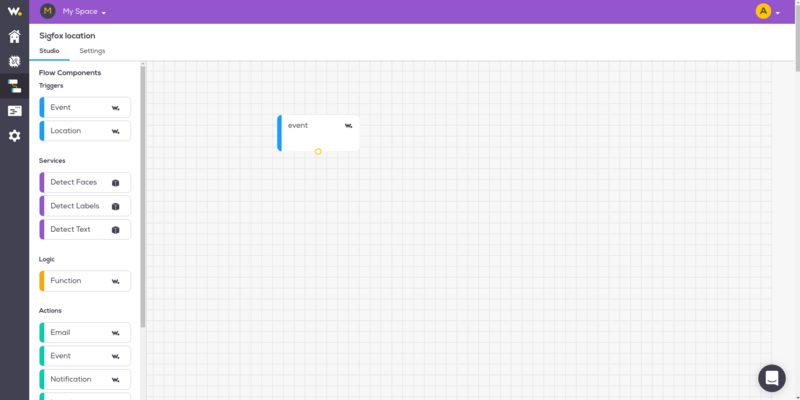 Currently the Flow takes in the data from Sigfox, parses it and outputs a location. Now we are going to go one step further and get a notification of the newly created location so we can view it on a map on our phones. To do this, you will require the Wia mobile app. You can download it for iOS here and Android here. Now you should receive Sigfox data to your mobile device. Could one use Int or double??? If you use an integer you'll lose precision. What speed are you travelling at? There can be issues with sending Sigfox message when going over a certain speed. Yes, we do understand that we'd loose precision ... but to test an see if that solves the speed issue ... is our main aim. If we get that confirmed, that is sending a long float value that is the main issue, then we can start working on a solution. As right now, it's trying to figuring out what is the data speed rate issue. Regarding sending data from a moving vehicle - it's normal highway roads 90-110 km/h we are testing. Our guess is that since the data speed rate is so long, even when standing still ... SigFox runs into issue when moving since it's loosing connectivity to the basestation in initially connected to. alan thanks! we'll test that. Regrading the issue with had with it taking extremely long time to send via SigFox. deft That's great to hear. How fast can you go with the Sigfox devices?